Welcome to the Pincoder website, where you can get custom ROM images to test your Williams System 3-7 pinball machines. By downloading these ROM images, and/or installing them on your machine you assume all liability related to the use of these ROMs. I can not be held responsible for any damages arising from use, whether direct, indirect, or consequential. These ROMs were developed with the intention of making it easier to troubleshoot hardware problems on Williams System 3-7 pinball machines. THEY WILL NOT WORK IN ANY OTHER GAMES. WHAT DO I NEED TO USE THESE IMAGES? Using these ROMs is pretty simple. You will need a chip programmer, and at least one EPROM chip to copy the ROM images to. Ideally, you’d have multiple chips, one for each ROM image, but you can get away with using just one. For System 3-6a you will need a 2716 or 2816 EPROM chip..
For System 7 you will need either 2716 or 2816 EPROM, or possibly at 2532/2732 EPROM chip, depending on the configuration of your MPU board. The current version includes “2K-adapter.bin” and “4K-adapter.bin” which are a concatenation of all test ROM images for a given system. Development is on the way for circuit boards that allows you to copy these images to a larger EEPROM so that you can run the individual test ROMs simply by setting DIP switches on the board itself. More on this to follow. HOW DO I USE THESE ROM IMAGES? These ROMs should be used in numerical order. The first ROM is very basic, and will show you if your CPU is working in the most basic capacity. ROMs that follow it are increasingly more sophisticated and utilize more of the circuitry on the CPU and Driver board, and thus allow you to diagnose problems with your entire machine. Write the .bin file (ie: “01-LEDs.bin”) to an appropriate EPROM and replace IC17 with the new chip. You do not need to remove any other ROM chips. Power up your game and follow the instructions in the notes on how to use each ROM. Along the way you will learn much about what your pinball machine is doing, and will be better able to isolate particular problems. NOTE: Please see the README.txt file for the full instructions. DISPLAY FLICKER – DONT PANIC! The ROMs that use the DISPLAYs (Player 1 – Player 4 scores, Match, Credits) may flicker. Some ROMs more than others. This is NORMAL and is a product of how the ROMs were built. I may fix this in a future version, but for now they’ll still get the job done. HOW DO I GO BACK TO PLAYING THE GAME? Install and run the “clear_cmos.bin” ROM – with the coin door open! Power this one up, wait a few seconds, and then power down. Proceed to install the GREEN 2 FLIPPER ROM and your game settings will be back to factory numbers. I prefer to use this option as it guarantees that all stored values in the CMOS chip are cleared out. There is also “init_cmos.bin” which when run, will write valid (Gorgar or Black knight) settings into the CMOS chip. After running that for two seconds, power down and install your original GREEN 2 FLIPPER ROM and power up your game – it will go straight into Attract Mode. See the “init_cmos.txt” file for more information on what settings are different than factory. Note that non-gorgar machines may not have the same “game specific” user-changeable settings and so may not behave correctly with this ROM. I built this ROM for my Gorgar machine so I didn’t have to keep clearing the CMOS and powering on the defaults as I developed the rest of these ROMs. Cameo is not responsible for any damages arising from the use of this software, whether direct, indirect, or consequential. You may not charge a fee for copies of the software. You may not charge a fee for distributing the software. Copies that you make and/or distribute must be in their original and unmodifed form. You may charge your usual fee, if any, for utilizing the ROMs in the process of diagnosing your clients machine. You are under no obligation to pay Cameo a royalty fee as long as all of the above conditions in (2) are met. The software is available only in compiled (“binary”) form. The source code is not available to the public. The official discussion thread for these ROMs can be found here:pinside.com. I check the site for new messages quite often so please post your techinical questions and comments there. 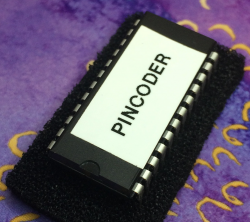 If you’re a pinside member, you can also message me privately (@pincoder). System 9 support: System 9 support is next!